HMH Books for Young Readers, 9780618263653, 208pp. What do you do when a bottle of liquid hand-sanitizer lasts you only a week? Or how about when you realize that you’re unable to eat in the school cafeteria? (Too dirty.) Or sit on an office couch? (Ditto.) And is it a crime to have all of your shirts neatly lined up, color coded, and buttoned from top to bottom? What about alphabetized books? When does neatness become an obsession? Preoccupied with orderliness, cleanliness, and warding off impending disaster through rituals, Devon Brown is concerned with all of the above and then some. Which is just fine by him, but his parents and therapist see his “tendencies” in a more negative light—especially when such compulsions land him in the middle of big trouble at his new high school. In this compelling story of mistakes and recovery, with sensitivity and humor George Harrar examines the tensions and events that trigger Devon’s actions and ultimately set him on a journey to understand exactly what he’s so afraid of. 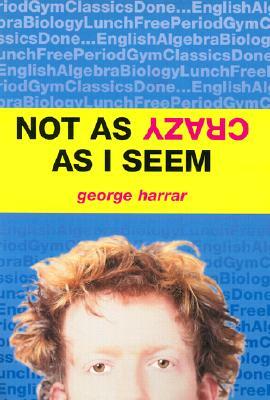 George Harrar is the author of several novels and numerous short stories, one of which was chosen for the 1999 edition of The Best American Short Stories. Harrar lives in Wayland, Massachusetts, with his wife, Linda, a documentary filmmaker.